Where you aware your teeth have a built-in defense system to help protect them from cavities and tooth decay? It is called enamel and it is the hard surface of your teeth. However, bacteria can eat away at tooth enamel if you don’t properly clean and take care of your mouth causing cavities and other damage. Our dentists recommend that you receive regular fluoride treatments to help strengthen your tooth enamel and this can help reverse the effects of tooth decay. 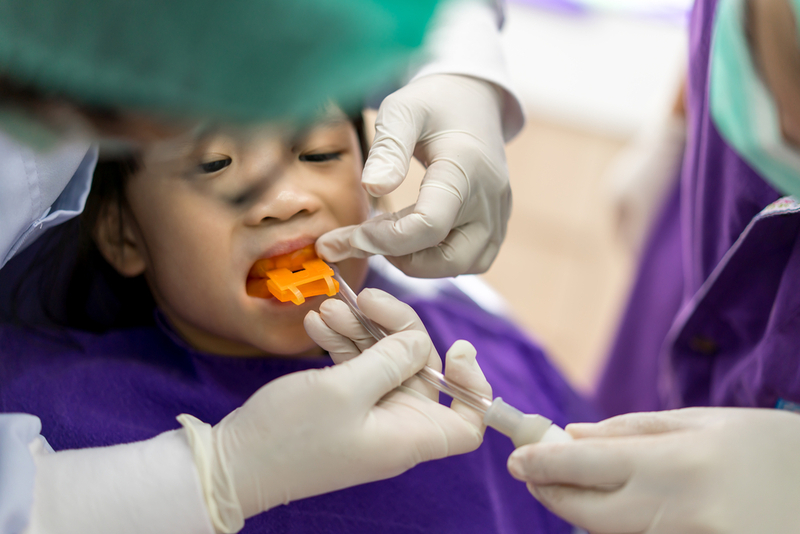 Fluoride treatments are especially important for children as their teeth develop. Proper oral care and regular fluoride treatments can help children develop strong, healthy teeth for their adult years. Fluoride is not only for children. Adults can also benefit from regular fluoride treatments to assist in the fight against tooth decay bacteria. Fluoride is a naturally occurring mineral compound found in water and soil. It is also found in foods and beverages in varying levels. Fluoride helps prevent tooth decay through making the entire enamel surface more resistive to acid problems coming from the bacteria that live in the plaque on your teeth. Generally, there are a couple of ways to increase fluoride protection: topical and systemic applications. Toothpaste that is infused with fluoride is a great example of a topical fluoride. Topical fluoride in toothpaste is applied directly to the tooth and the brushing assists in the absorption of the fluoride into the surface of the teeth. It is found in personal oral hygiene products such as toothpaste and mouth rinses, which contain a safe and effective concentration of fluoride to fight tooth decay. These products are rinsed from the mouth without swallowing. Professionally administered topical fluorides such as foams, gels are performed here at our office by your dentist or hygienist. We fill two trays with the topical fluoride, one for the upper teeth and one for the lower teeth. The trays are placed in your mouth and we let stand for a period of time for the fluoride to absorb into the teeth. For patients with a high risk of cavities, your dentist may prescribe a special gel or toothpaste for you to be used at home during your daily brushing.